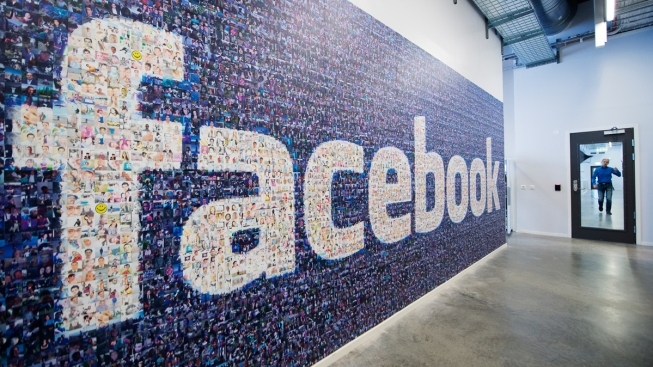 A big logo created from pictures of Facebook users worldwide is pictured in the company's Data Center, its first outside the U.S., on November 7, 2013, in Lulea, in Swedish Lapland. A new optical illusion has set social media ablaze and it has nothing to do with the color of a dress. A photo posted to Facebook last week has puzzled thousands after a Missouri woman asked her followers if they could see what was in the image. The post has since garnered more than 11,000 comments and more than 5,100 shares as confused users post their guesses and others claim victory. One user wrote she could only see “a penguin fishing,” while some said they saw what was in the image right away. It’s not the first time social media has debated an optical illusion. Many might remember the “dress controversy” last year that sent the Internet into a raging debate. A photo had thousands questioning the color of a dress after some thought it was black and blue while others saw white and gold. Late last year, a comic artist also had thousands furiously searching through a “Where’s Waldo?”-style photo trying to find a panda in a sea of snowmen. What do you see in the latest viral image? Share your guesses in the comment section and scroll down to find out the answer.